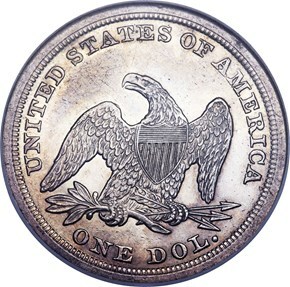 The Philadelphia Mint produced 46,110 Silver Dollars in 1853, a sizeable total, especially when one considers that old tenor silver coins of all denominations had ceased to circulate after the discovery of gold in California. 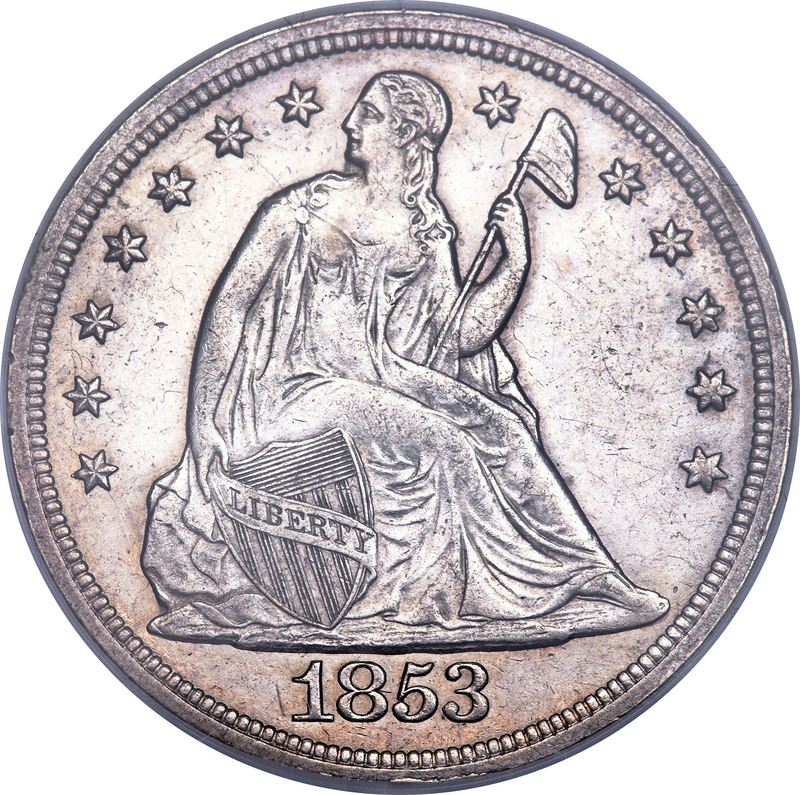 While most Seated Dollars produced in the 1850s were exported, Bowers suggests that a decent number of coins dated 1853 remained within the United States. 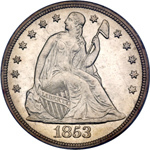 Indeed, representatives of the 1853 delivery are among the most plentiful Seated Dollars from this decade in today's market. 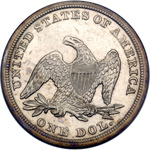 We caution bidders, however, that most 1853 Dollars extant are circulated to one degree or another. 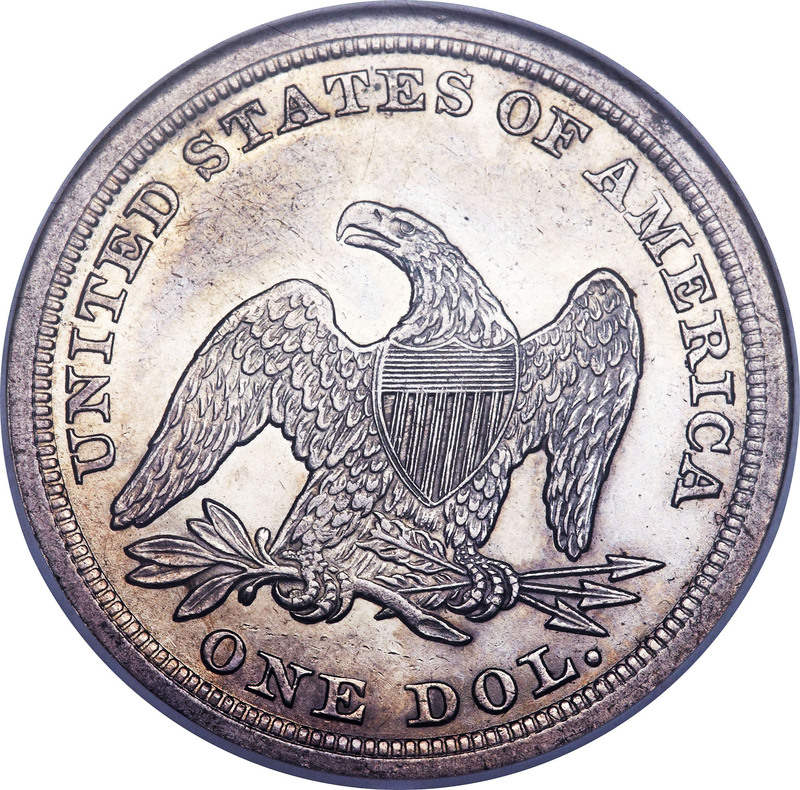 Bowers does note that a small hoard of Mint State examples may have come to light in the 1970s or early 1980s, all of which are either brilliant or golden toned with thickly frosted luster.